Metro has issued far more fare evasion citations across the region so far this year, even as reports of more serious crimes have dropped somewhat faster than the system’s ridership decline. WASHINGTON — Metro has issued far more fare evasion citations across the region so far this year, even as reports of more serious crimes have dropped somewhat faster than the system’s ridership decline. Riders and staff reported 17 percent fewer serious crimes in the first six months of this year than the same period last year. Over a 12-month period, rail ridership had dropped eight percent, with more significant drops in some parts of the area. In the rail system, there were 31 percent fewer Part I crimes reported. While similar crimes reported at bus stops dropped, 15 percent more Part I crimes were reported on Metrobuses. Part I crimes as defined by the FBI include aggravated assaults, burglaries, larcenies, car thefts, rapes and robberies. Fare evasion citations more than doubled, to 6,961. 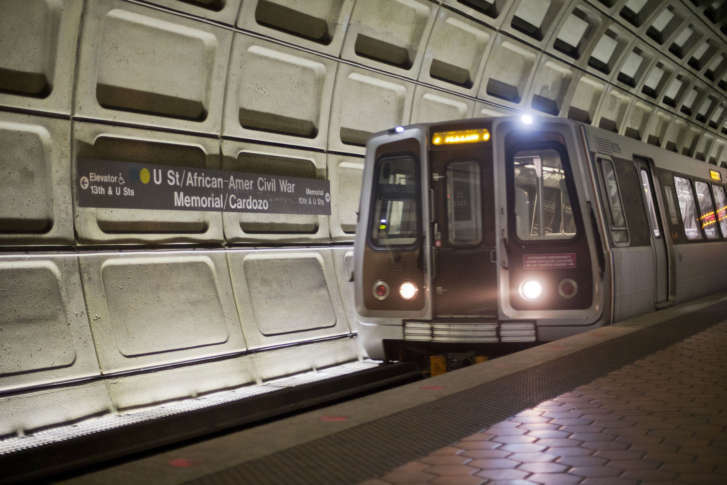 Metro General Manager Paul Wiedefeld has emphasized the fare evasion crackdown as a potential way to deal with other issues across the system by increasing respect. For several years, Metro has run a Respect Your Ride program aimed at improving student behavior on trains and buses. Earlier this year, riders reported several instances where police officers used pepper spray on a person stopped as part of fare evasion patrols. Metro Transit Police data show 52 percent of all arrests in the Metro system over the first six months of the year were for fare evasion. A police department presentation focuses on the additional charges for about 42 percent of those arrested for fare evasion, which include open warrants. In addition to the nearly 7,000 summonses or citations and 780 arrests, officers issued 2,130 written warnings. Most of the enforcement was focused on the rail system, with about one-third of the patrols focused on buses. Sexual harassment complaints also rose as Metro continued an ad campaign on the issue. While slightly fewer complaints rose to the level of criminal sexual harassment (11) than last year, more complaints were categorized as criminal non-sexual harassment (16) and general harassment (34) than the same period last year. Overall, the number of complaints rose from 37 to 61. Regionwide, Metropolitan Washington Council of Governments data presented Wednesday found overall 2016 crime against people and property declined again from the previous year, but there were increases in the numbers of homicides, rapes, robberies and car thefts. Across the area, the Part I crime rate was about 20 per 1,000 residents, also continuing a decline over the last few years. The lowest crime rates in 2016 were in Frederick County, Maryland, and Loudoun County, Virginia, based on the way the data is reported; the highest rate (54.8 Part I crimes per 1,000 residents) was in the District where the number of people swells with visitors and commuters each day. Theft, the most common Part I crime reported across the Metro system, is down about 9 percent, similar to the decline in Metro’s ridership. Snatches of things such as cellphones are down further. “Over three-fourths of all theft snatches occur at rail stations in the downtown core area of the District of Columbia. Theft snatches most frequently happen in the workweek during evening rush hours,” documents prepared for the Metro Board said. Metro Transit Police believe riders are doing more to protect their devices since they are more aware of the snatches than they were when incidents spiked a few years ago. In the case of more violent thefts, Metro described the suspects in about half of robbery cases as a “school-aged male offender” threatening or forcefully stealing something from someone who is often “school age to young adult” themselves. The 16 robberies reported in the six-month period were most likely to happen in the late afternoon Wednesdays and Thursdays. The most common stations where robberies are reported are Anacostia, Congress Heights and L’Enfant Plaza. There were fewer bike thefts reported at Metro stations. The most stolen bicycles in the first six months of the year had been left at Red Line stations in Maryland or at West Hyattsville. Nearly all of the bikes were left locked in the morning, and had simply disappeared by the time the owner returned in the afternoon. In parking lots, there were slightly more thefts from cars this year than last. About two-thirds of the 99 cases were in Prince George’s County, and about a quarter of all instances involved the theft of a handicap placard. There were 18 other attempts to steal a car, five of which led to arrests. In most cases, bus operators have something thrown at them, are spit on, or are punched, pushed or kicked. Metro Transit Police continue plainclothes patrols and targeted deployments on problem routes.